The Xperia devices from Sony Mobile debuted in the market in 2008. In 2010, they transitioned from Windows Mobile based devices to Android ones. So, knowing how to root Sony Xperia devices would come handy. The Xperia J ST26i mobile was launched in August 2012. It has Qualcomm Snapdragon S1 processor, 5 megapixel camera, 4.0 inch display, 4GB memory with Android 4.0.4 (Ice Cream Sandwich) and 50 GB cloud storage. To get your ST26i rooted, you need to know some basic processes. 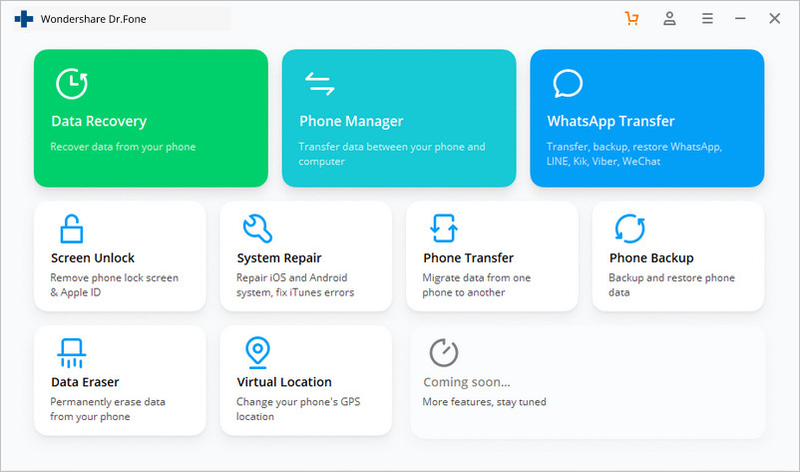 Before going through the most feasible solution to root Sony Xperia series of devices, we need to take care of certain things. When all the requirements get fulfilled, only then the rooting operation for Sony Xperia should be initiated. Here we are taking Xperia J ST26i for rooting. Understanding and maintaining the above aspects will ensure a successful rooting operation for your Sony Xperia device. There are two ways to root your Xperia J ST26i – through a PC and through mobile Apps. You can have a number of third-party applications to carry out the rooting activities on your device. To root your ST26i phone through a PC, you need to choose a reliable rooting program. While talking about a range of rooting software applications for Xperia mobiles, dr.fone - Root seems a trustworthy option. 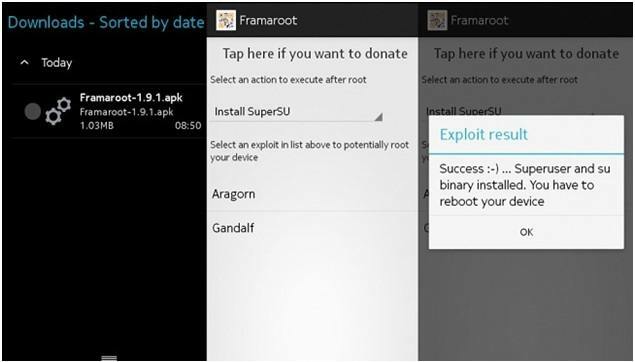 This rooting program from dr.fone - Root allows your Xperia J ST26i to root at its best. It is safe and secure, free of cost, easy to use, and supports almost 7000 devices. It is simple and trouble-free to use. It has the highest success rate in the market. It is 100% safe and secure to perform Android rooting (including ST26i root) without any data loss. 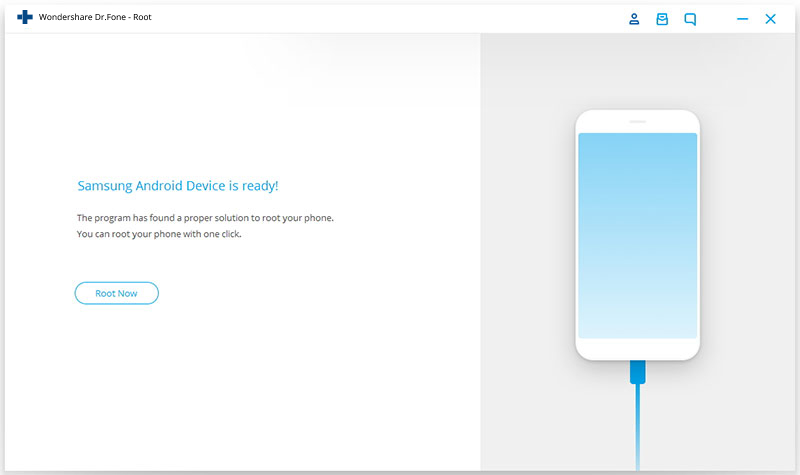 You can root your Xperia device for free using dr.fone. dr.fone- Root supports more than 7000 Android devices. To carry out this exercise, first of all download the dr.fone toolkit in your computer and install it. Now, connect your PC and Sony Xperia J ST26i through a USB cable and launch dr.fone on your computer. Note: Make sure that you connect your Xperia phone and computer properly. The dr.fone’s main screen will show a number of tabs. Click the ‘Root’ tab and tap on “OK” button (when prompted) on your Xperia phone to enable USB Debugging. It is important to allow USB Debugging for the program to initiate rooting. 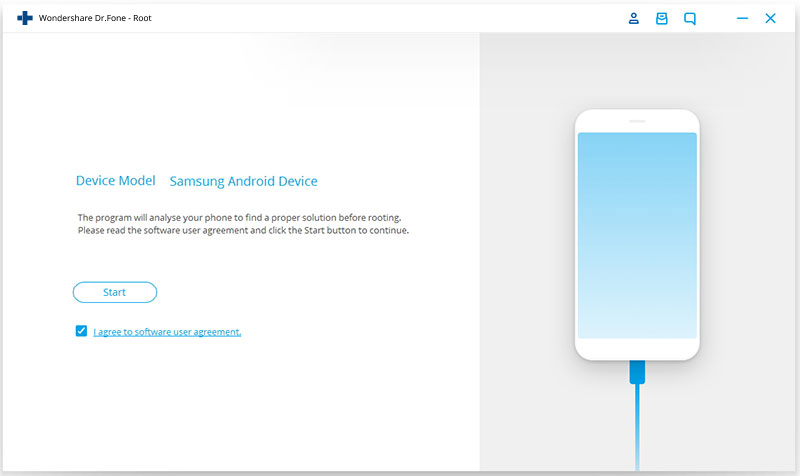 Now, check the user agreement and click on the ‘Start’ button to initiate detection of your device model and its suitable rooting package. When the program detects your device and its suitable package, click on ‘Root Now’ to start the rooting process. A ‘popup’ will appear on dr.fone’s screen asking you for confirmation. Tap on ‘Confirm’ to continue the rooting process. 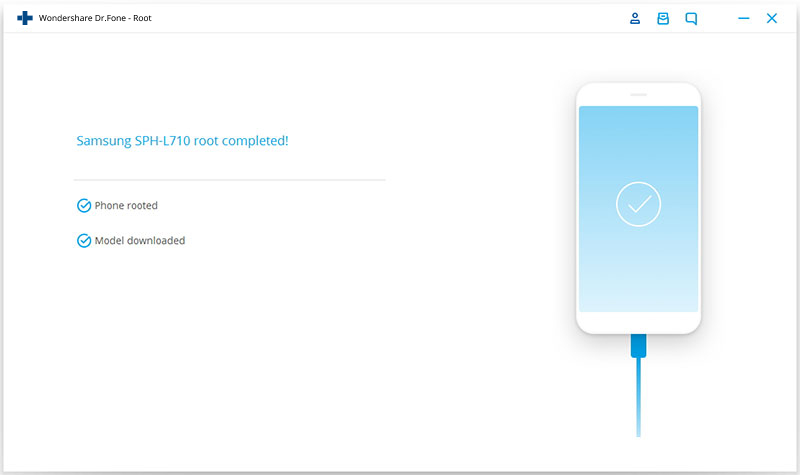 Once the rooting is complete, the dr.fone interface will display ‘Sony Xperia J ST26i root completed!’ Now, your Xperia J ST26i root is successfully completed. Apart from rooting your Sony Xperia phone through the PC, you can also make use of the Android Apps for the purpose. Framaroot is one such app to root your Sony Xperia J ST26i mobile. This app has numerous exploits, including Gandalf, Aragorn, Frodo, Boromir, Gollum, and Legolas. While preparing for the ST26i root, make sure to charge the battery more than 50% and backup the data. 1. Download and install Framaroot on your mobile device. 2. 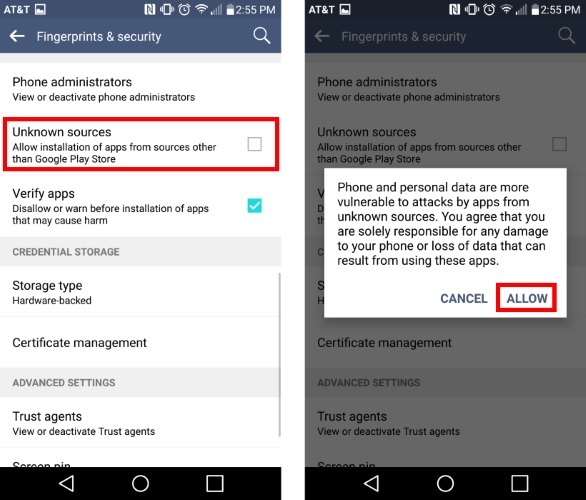 On your Xperia device, go to ‘Settings’, select ‘Security’ and allow the ‘Unknown Sources’ option. 3. Open the Framaroot App in your mobile and select ‘Install SuperSU’ and then select the preferred exploit for your device and you're done. Now that you have an overall idea about how to root Sony Xperia devices, we would like to feature some significant risks and benefits of rooting activity. It would help you safely perform the operation and protect your device. You can install custom ROMs. As a result there is more flash memory in your phone to meet your needs. You can get rid of annoying preinstalled Apps. It means you get more reasons to enjoy with your mobile by storing more useful things like videos, documents or loading your favorite games for that extra fun. You can remove popup Ads, and manage the device memory in a better way. That implies, you no longer have to watch those irritating popoup Ads and your phone memory has better things to handle. You can track your ST26i, just root it and install a tracking app. You don’t have to be an iPhone user, to keep track of your mobile phone. Life is sorted now. There’s an increased risk of virus attacks once the device gets rooted. The device’s warranty gets cancelled through rooting, so the warranty might not apply if your Xperia mobile undergoes any problems. Increased risk of getting your device’s operating system exploited after you root your ST26i. This tutorial is for rooting Samsung Galaxy Tab 2 7.0 P3100, Samsung Galaxy Tab 2 7.0 P3110 and Samsung Galaxy Tab 2 7.0 P3113. Check in for details now. In this article we will learn about the safest and easiest method of rooting Huawei Y520. Rooting a cellphone has many benefits. So in this post, you'll learn about how to root Sony Xperia Z1. Read on and learn in details.